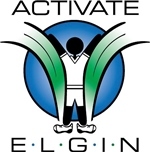 Activate Elgin, the City of Elgin, and the City of Elgin invites you to Walk with the Mayor! Mayor David Kaptain wants to encourage all Elgin residents to exercise regularly to enjoy the benefits of better health. Join Mayor Kaptain as he walks the neighborhoods of Elgin! Each walk starts at 6:30 pm (unless otherwise notated) and lasts for 45 minutes. Three lucky walkers will win a gift card to Elgin Fresh Markets at each walk. 7/18 Providence South Heritage Park, 3140 Heritage Park Dr.
8/1 Highland Woods Highland Woods Clubhouse, 3711 Highland Woods Blvd. 8/15 Grant Park Highland Elementary School, 190 N. Melrose Ave.
9/5 Lords Park Manor National Little League, 758 Summit St.